As you may be aware, DPM Acquisition LLC, a wholly owned subsidiary of Diamond Resorts Corporation, successfully acquired all the assets of Pacific Monarch Resorts, Inc. last year, and with that assumed oversight of Monarch Grand Vacations. Since that time, Diamond has provided an extended resort destination offering – Monarch Grand Vacations Club Connection - and the ability to make your reservations online. 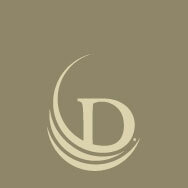 With those developments complete, we are now redirecting your online services to DiamondResorts.com. To make bookings, payments and research your vacations, click here, then click on Login located at the top right of the page displayed. Please use your current login and password, or register for a new one if you did not have one before. We look forward to seeing you at the resorts later in the year!